Nick Schultz | The Phoenix Redshirt senior guard Marques Townes drives to the basket against Grambling State. 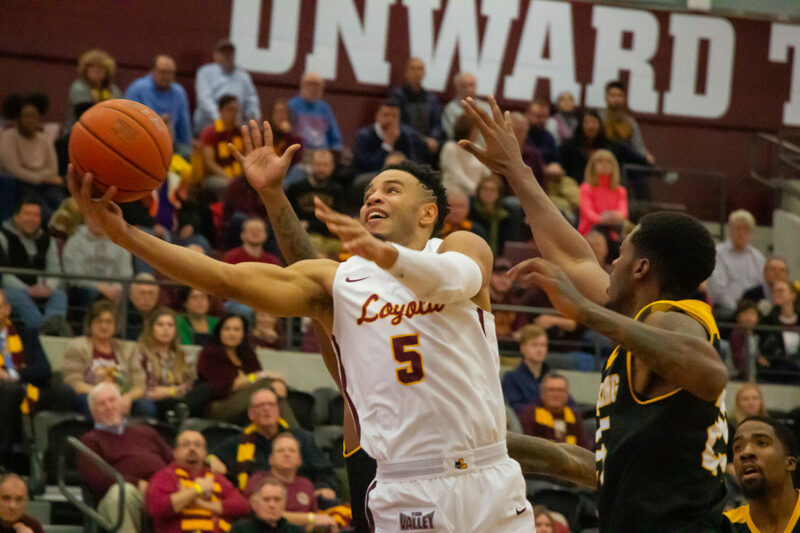 The Loyola men’s basketball team (16-9, 9-3) picked up a come-from-behind, 56-51 victory over Valparaiso University in Valparaiso, Indiana Sunday afternoon. 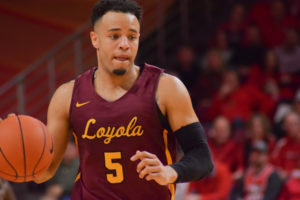 The Ramblers were led by redshirt senior Marques Townes who finished with 18 points on 7-for-17 shooting. Sophomore center Cameron Krutwig also added 12 points and snagged eight rebounds. The first half saw Loyola keep pace with the Crusaders despite only shooting 39.1 percent from the field. The Ramblers were led by Townes and Krutwig, who contributed 14 of the team’s 22 first-half points. Redshirt senior guard Clayton Custer ended the half with a buzzer-beating three-pointer while falling down after a pass from first-year guard Cooper Kaifes. The second half saw the Ramblers shake off a 1-for-5 start from the field as they took the lead back with 2:43 remaining. The comeback was started by a 11-0 run that spanned 5:16, and they made five of their last six shots. The Ramblers are next scheduled to travel to Peoria to take on Bradley University Feb. 13. Tip-off is scheduled for 7 p.m. and the game will be broadcasted on NBC Sports Chicago. We were out played and sucked for 37 minutes but a win is a win. I hope we don’t play these guys in the tourney.